Computer and equipment disposal experts South West Computer Recycling Ltd have become more competitive by increasing operational efficiency and cutting costs. Based in Wellington, Somerset, computer and equipment disposal experts South West Computer Recycling have prevented thousands of tonnes of equipment from ending up in landfills, doing their part in helping the environment. They have now successfully disposed of over 1000 pieces of equipment from schools, businesses and universities across the UK. After achieving exponential growth over their 4 years of operation, South West Computer Recycling needed a system to ensure that they could sustain growth over the lifetime of the business. Originally operating with a very manual process, recording all job and inventory information on paper, meant that there was a high margin for error. Storing all data on paper made for mistakes, sheets could be incorrectly filled out and inventory lacked in accuracy, which meant that it wasn’t a viable option in the long-run. The choice to adopt MyMobileWorkers came in December 2017. By doing an online search they found everything they were looking for without the need for long comparisons with competitors. In a matter of weeks, the solution was easily rolled out to both the operatives and office staff. The software is now used in every aspect of the business from collecting electrical equipment, managing compliance, tracking vehicles and keeping a record of stock/raw materials. MyMobileWorkers workforce management software is a pivotal part of the way our organisation runs. I would highly recommend it to any business large or small and I can see us using it in the distant future. 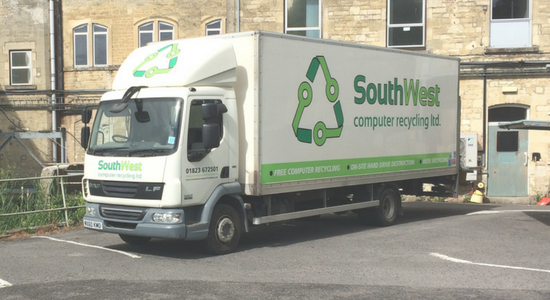 Since using MyMobileWorkers, South West Computer Recycling has become a much more organised business as they are enforcing an efficient process which ensures that every worker can clearly see what jobs they have and where they have to go, on a daily basis. Now, every job is completed successfully, resulting in a 100% job completion rate. MyMobileWorkers has allowed all computer parts and assets to be stored digitally, allowing office staff and workers to be able to check what parts they have in the inventory and to see where each asset has been sent to and arrived from.  With a centralised system it allows management to be able to log in at any time and know exactly what jobs and items have been processed, providing clarity on the current status of jobs and current inventory levels, differing greatly from a manual paper process. MyMobileWorkers has allowed South West Computer Recycling to flourish, from once being concerned about their company size when trying to adopt a mobile workforce management system to now, a system they could have adopted sooner. The small costs of the software are largely outweighed by the return on investment MyMobileWorkers has brought the company. Waste Transfer Notes are a key part of South West Computer Recycling business in order to legally prove that the waste has been collected, destroyed and where it went. MyMobileWorkers generates electronic Waste Transfer Notes by recording customer signatures and time stamps of arrival and departure which is easily accessible and therefore fulfilling their duty of care and abiding by all laws and regulations.Read More Previously, after a job had been completed there were 3 sheets of job data paperwork that had to be digitised by the office staff. Now all job data is recorded straight onto a device and converted into a PDF that is sent straight to customers, streamlining the process and eliminating paper, printing and additional fuel costs, saving approximately 1 hour per day.